Out of the many hairstyles for different occasions, bangs are always sure to make a statement. While many women have rocked a fringe of some sort since they were young girls, others haven’t gotten their bangs trimmed in a long time. If you’re ready to make the leap to trimmed bangs, our hairstylists at the Hair Loft Studio can give you the best bangs in New Orleans. Whether you have been flirting with the idea of trendy bangs for a few years or just recently considered the change, our fantastic New Orleans bangs service will make people think you just got a brand new haircut. Once you decide to get your bangs done at Hair Loft Studio, our stylists will help you select the type of trim that is most suited to your face shape. After all, when you choose the right style of bangs for your face, your hairstyle will also look fabulous. If you have a round or heart-shaped face, we might recommend cute angled, or side swept bangs. While square or oblong face shapes can look stunning with long, layered bangs, many women with oval face shapes prefer blunt bangs. For the best look, we’ll make sure your hair is soft and medium in length. Depending on the type of bangs that you choose, you might need to schedule frequent trims to maintain the style of your beautiful hair. For example, if you have mini, micro bangs, you’ll probably need a good trim every few weeks. Although frequent trips to the salon may sound annoying at first, a regular bang trim is essential to keeping your bangs looking healthy and fresh. 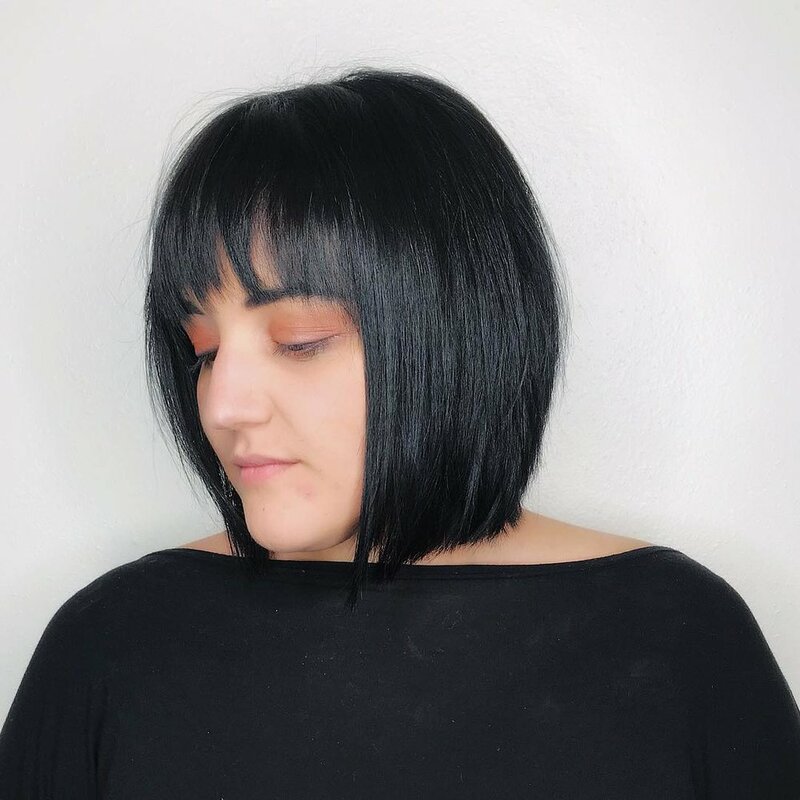 Starting at just $10, our bang trim is extremely affordable for our clients, so getting this service regularly at our salon shouldn’t put a huge dent in your wallet. Along with getting frequent trims at our salon, it’s essential for women who wear bangs also to learn great styling techniques. After receiving a New Orleans bang trimming at our salon, we’ll teach you a few tricks of the trade that will make styling your bangs extremely easy. Here’s one neat tip: For most hair types, fringes are much easier to style when wet. When styling your bangs, consider blow drying them straight out of the shower to avoid unattractive cowlicks and unforgiving curls. As a bonus, our exceptional stylists will also recommend some great products so that your hair always stays gorgeous. Ready to get started with this always-in-style hair trend? Never forget that an excellent bang trim can completely transform any face. So, if you want to look fabulous but don’t trust yourself with trimming your own bangs, book a salon visit with us today! As professional hair stylists, we’ll make sure you leave the salon with a cute fringe that will turn heads every time you stroll down the street!